Listen to how dumb we are in this highly controversial episode where we talk about how we’re too dumb to read a rule book correctly! We didn’t intend this to be an episode where we just complained about everything, but we just kind of started talking and got lost. Add hot water to stuffing mix in medium bowl; stir just until moistened. Let stand 5 min. Meanwhile, remove stems from mushrooms; chop stems. Cook and stir mushroom caps in 3 Tbsp. butter in large skillet 5 min. or until lightly browned. Place, rounded-sides down, in shallow baking dish. Add stems and peppers to skillet; cook and stir 5 min. or until tender. Add to stuffing; mix well. Spoon into mushroom caps; drizzle with melted butter. Broil, 6 inches from heat, 5 min. or until heated through. 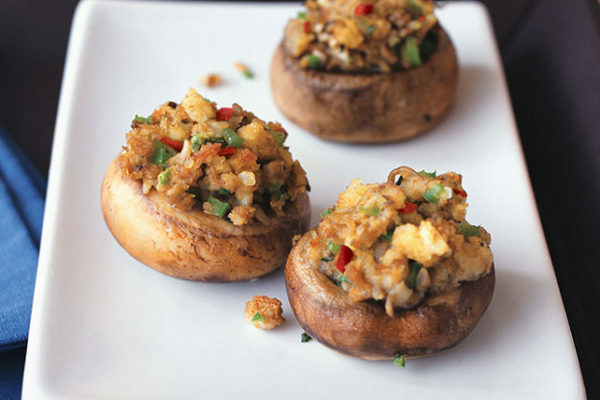 Fill mushroom caps with a blend of stuffing mix, chopped mushroom stems and enjoy!